Here at PQ Family Dentistry, we believe in prevention as much as we do cosmetic and restorative dental care. This approach to dentistry means that we help empower patients to have good dental health. It's one of the reasons that people throughout San Diego trust us for their advanced dentistry and dental treatment needs. We'd like to focus on the gums in this post, since so many people take their periodontal health for granted. Many people put an emphasis on their teeth when it comes to matters of dental wellness. The fact of the matter is that the health of your gums is just as important to consider. When you have problems with periodontal health, it affects the appearance of your smile as well as your overall wellness. Two common issues affecting periodontal health are gum disease and gum recession. Let's go over each individually. Gum disease refers to the bacterial infection of the gum tissue. This is caused by the same bacteria responsible for tooth decay and bad breathe. When a person suffers from gum disease, this can lead to a number of serious periodontal health problems. There are many dangers to gum disease, particularly in its later stages. Some of these dangers include the loss of gum tissue around a tooth (gum recession, which we will talk about in a bit), bleeding gums, loose teeth, spread of infection to the teeth and jawbone, and even tooth loss. Treating gum disease sooner rather than later is most ideal. The most common treatments for gum disease tend to involve the use of antiseptic rinses and medications to help control the infection. Antibiotic medications may be considered for some patients as needed. Gum recession occurs when the gum tissue peels away from the tooth, exposing more of its root structure. This can lead to increased issues with tooth sensitivity in addition to an unattractive smile. Teeth become more susceptible to decay and injury since they are not protected by the gums, meaning serious dental health problems are more likely. 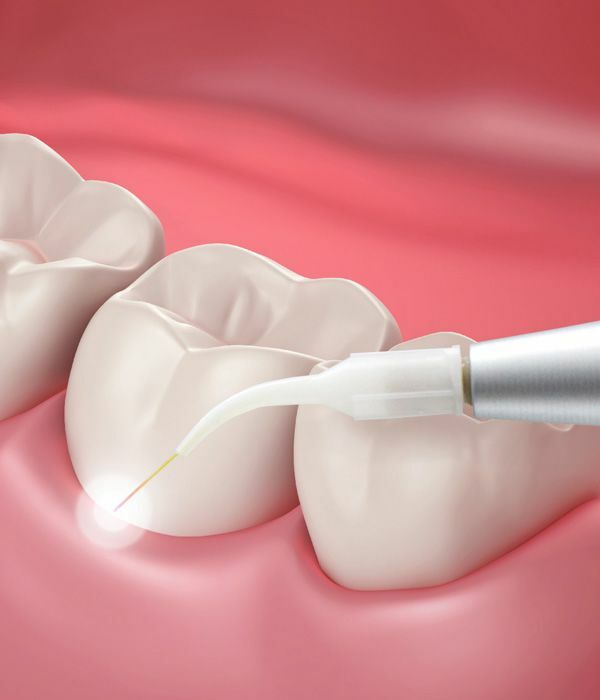 When it comes to treating gum recession, the best option is gum grafting surgery. During gum grafting, donor soft tissue or artificial gum tissue is attached to the patient's gums in order to rebuild the gumline. This protects the tooth and improves overall dental health in the process. If the recession is the result of gum disease, the infection will need to be treated before grafting is performed. For more information about proper care of your gums, be sure to contact our cosmetic and restorative dentistry center today. The team at PQ Family Dentistry is here to help you smile with absolute confidence.